Hot take: this year’s 2017-18 Oregon Ducks roster is deeper and possibly better than last year’s Final Four team at the guard and forward positions. The season started Friday and the Ducks will be missing a few familiar faces. Dillion Brooks gave Oregon an edge and personality. Tyler Dorsey provided creativity and shot creation when the offense broke down. Jordan Bell and Chris Boucher were the identity defensively, allowing the Ducks to be tops in the nation in blocks. Dylan Ennis was the elder statesmen that paired with Casey Benson in the backcourt to allow an easy transition for Payton Pritchard. Each of the program departures will be missed. However, Dana Altman will have an embarrassment of riches with the new additions. Troy Brown is the leader of this class and he’s the highest-ranked recruit to sign with Oregon since Altman has taken over. He’s a do-it-all forward who can score in the post and also has the skills you’d find in any elite wing. One of the most underrated qualities Brown possesses is his elite defensive abilities. Enjoy this season with Brown; he’ll be gone after. Victor Bailey was the other crown jewel of the 2017 class. The four-star recruit is a wiry athlete with great leaping abilities. He’s a lefty and like most left handed guards, he’s a shooter. I’d expect him to ease the blow of the Tyler Dorsey departure. Abu Kigab is an intriguing and raw prospect. He rivals Troy Brown in athleticism and versatility, but he’s not as polished. Kigab has an insane motor. Think about the annoying guy at the gym who you think is playing way too hard; that’s Kigab. You won’t see him shoot it much, but he’s a crafty passer. Kenny Wooten rounds out this class and solidifies the theme of it; athletic. He’s a lanky 6’9 PF who operates well in the paint. By no means is he a savant in the low post offensively, but I can’t help but think about Clint Capella from the Houston Rockets when I watch his film. Elijah Brown is instant offense. He’s the son of the Warriors assistant head coach Mike Brown. He comes over as a highly decorated transfer from New Mexico where he was a first team All-Mountain West performer as a sophomore and second team as junior. He combined to average 20 points and 5 rebounds and 3 assists per game in those 2 seasons. Mikyle McIntosh had an interesting recruitment choosing Illinois State over UConn, Miami, and UCLA. He was named All-Missouri Valley second team after averaging 12 points and 5 rebounds. The graduate transfer did his fair share of scoring, nearly totally 1,000 points as a Redbird. He’s a bit of a slasher and has great bounce. 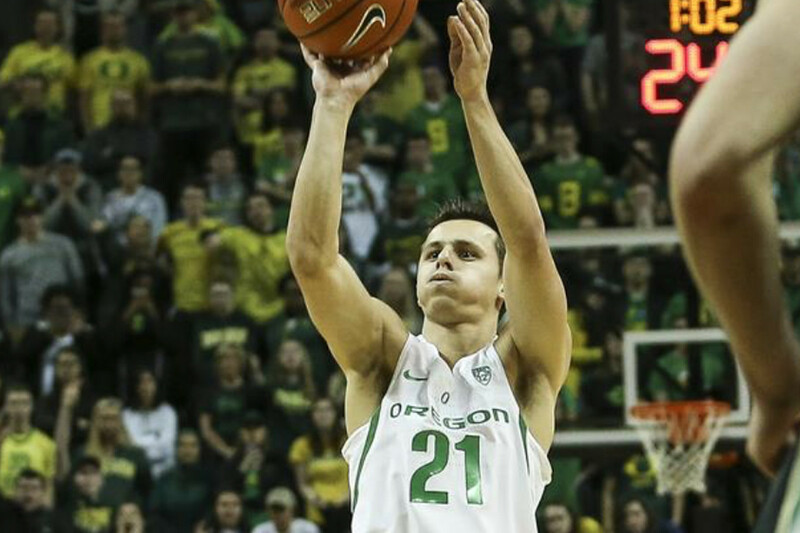 He’ll be another SF/PF wing man who Altman has at his disposal. Paul White comes to Oregon with two years of eligibility after transferring in from Georgetown where he made minimal contributions. He was a four-star recruit with a multitude of offers coming out of Whitney Young High School in Chicago. He’s listed as a power forward on some recruiting sites, but he handles the ball and shoots like a small forward. I’d image Altman will have him play some four with his 6’9 frame.